I was in Auckland in 2000. The waterfront is beautiful. I took a picture of the old Customs House. Former Custom House, 1888. Thomas Mahoney architect, 22 Custom St. This handsome building displays the mansard roofs typical of the French Second Empire Style. 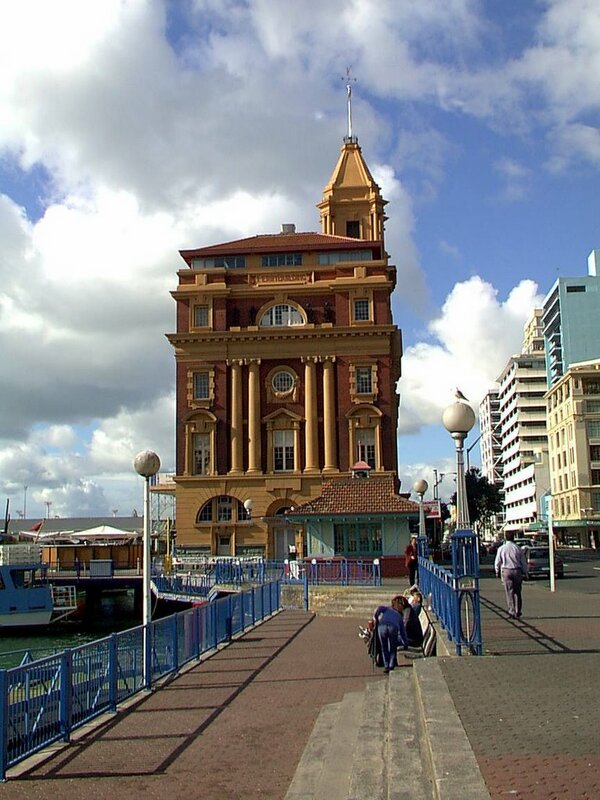 Prior to the construction of the Town hall in 1911 several departments of the Auckland City Council were located here. In 1909 an addition was built to the south [now demolished]. The Custom House has been recently renovated for retail use.